Defence Industry Minister Christopher Pyne has announced the signing of two Defence Innovation Hub contracts to further develop the army’s unmanned aerial system (UAS) capabilities. Mr Pyne said the two contracts with a combined value of about $2.4 million will ensure Defence remains at the cutting edge of a capability that offers superior surveillance, intelligence and force protection. “The $2.1 million contract signed with UAV Vision will allow the company to develop a lightweight, compact micro gimbal with several integrated systems to enhance performance and accuracy,” the Minister said. 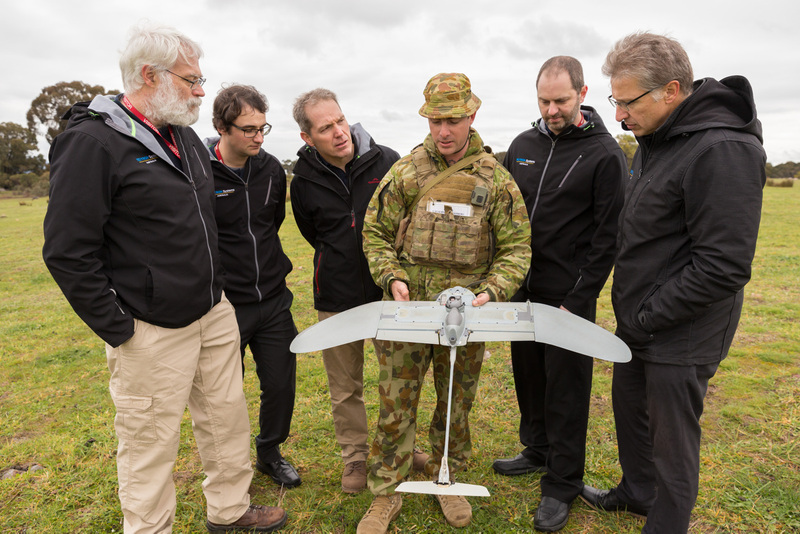 Brigadier Scott Benbow, Director General Aviation in Defence, said both companies were invited to attend a demonstration at Puckapunyal Military Area to see current UAS capability in action and speak with operators. “These innovators are working on an exciting and important capability, key to modernising our Army and enhancing the capabilities of Australian soldiers on the battlefield,” Brigadier Benbow concluded.